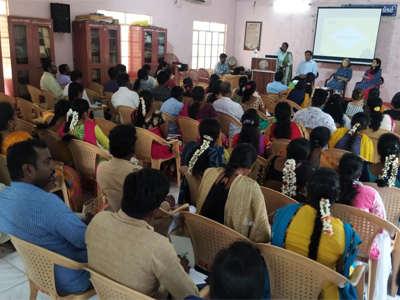 Sri Aurobindo Rural & Village Action & Movement (SARVAM) has been working in the field of education for rural development for more than a decade and a half. There has been a constant attempt to make learning inclusive and holistic. To realize these goals, various workshops and training programmes are organized every year so that the teachers can understand the strengths and shortcomings of students in the learning process at an early stage, and tutor them accordingly to help overcome any learning difficulties. 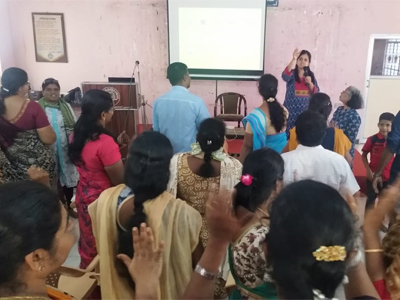 In addition to the teachers, parents and community are also encouraged to take part in educational workshops regularly aimed at child development and understand the problems of their children and implement what they learn in these training programmes. Too often, children with learning and attention issues are defined by their limitations rather than their strengths, not only by the teachers but parents and society too. In addition, there are some common reasons why general education teachers have very little knowledge about disabilities. First, teacher training courses and classes devote little to no syllabus to understanding challenges students with particular disabilities face and how to help them learn. Second, in regular schools, teachers typically do not have the opportunity, time and sometimes inclination to learn effective ways to teach kids with learning disabilities. Last, most schools do not provide ongoing in-service training for teachers about teaching kids with special needs. 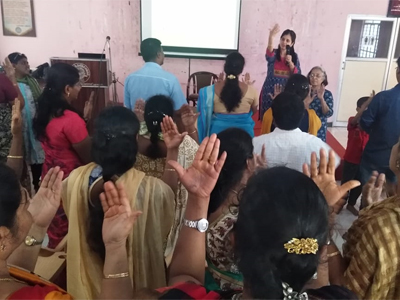 Keeping these issues in mind, on January 19, 2019, SARVAM in partnership with Azim Premji Foundation organized a training workshop for teachers, parents and volunteers on the identification of learning disabilities—especially dyslexia—and ways to counter their adverse effects. 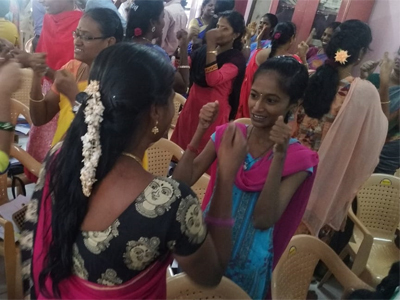 This training worked at providing teachers, parents and SARVAM village volunteers with the awareness, knowledge and skills needed to support young SARVAM students who suffer with learning difficulties and disabilities through the delivery of engaging and motivating lessons. It focused on aspects such as inculcating the skills learning disabled children need to be able to learn effectively and manage classroom interaction and life in general. The sessions also included aspects such as aptitude development, evaluation, and assessment which were explained in detail. More than 100 teachers and parents participated in the workshop. The training provided awareness to the teachers and parents that students with specific learning disabilities — such as dyslexia — have unique educational needs. It also expected that the guidance will help families and educators to work together on the behalf of children, making the schooling in SARVAM villages comprehensive and all-incluusive.